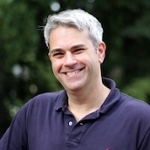 Paul Bredderman greatly enjoys working with Linguistics undergraduates and recent alumni and has served as a Career Counselor at Emory University since August 2003. Because a Linguistics background highlights many strengths and is so versatile, students may find it overwhelming to settle on just one future direction. Yet in a lifetime, each of us has the ability to pursue multiple opportunities! Schedule a one-on-one appointment to work with Paul in defining your own unique interests and values as a way to clarify priorities and make career decisions. Whether you are looking for assistance with career exploration, networking, resumes and cover letters, mock interviews, graduate and professional school planning, or strategies for the job and internship search – Paul is your expert guide. He holds a Master’s in Counseling and Educational Development from the University of North Carolina at Greensboro, as well as a Bachelor’s in Journalism from the University of North Carolina at Chapel Hill.